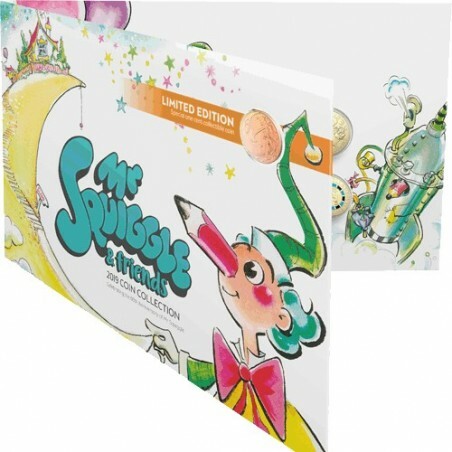 With this special seven-coin set, the Royal Australian Mint wishes a very happy 60th birthday to one of Austrlia's favourite children's television characters ; Mr Squiggle. The blue-haired marionette with his pencil nose is featured along with his good friends : Blackboard, Gus the Snail and Bill the Steam Shovel. A special uncirculated 1 cent piece features Mr Squiggle's home : the Moon. 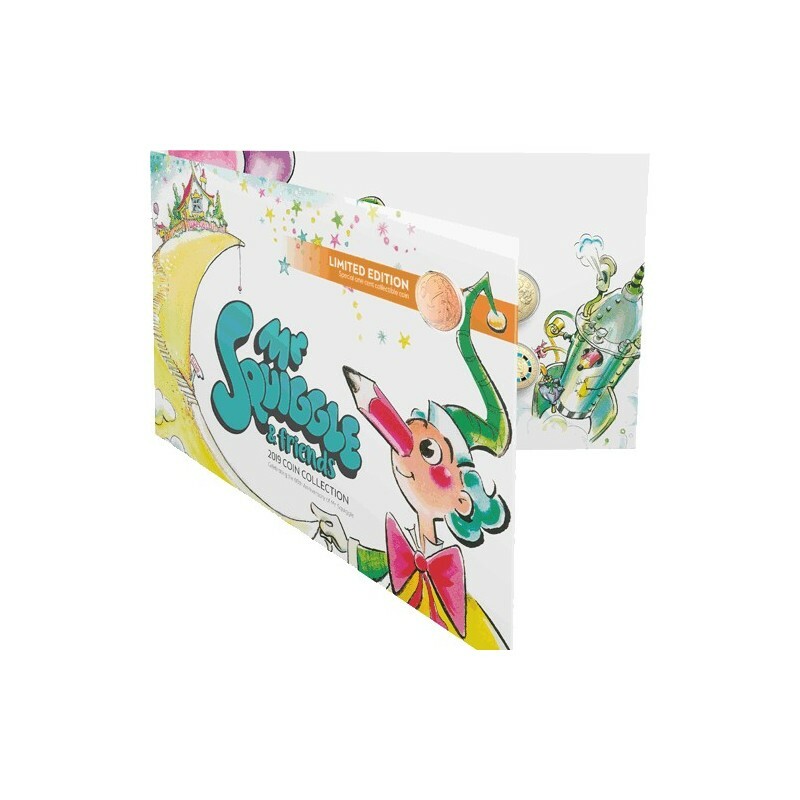 Each set is presented in a delightfully coloured coin folder. This folder contains a limited edition 1 cent coin and two $1 coins, along with four $2 Coloured Coins. $2 and 1 cent coin obverses feature an effigy of Her Majesty Queen Elizabeth II by Ian Rank-Broadley. $1 coin obverse features an effigy of Her majesty Queen Elizabeth II by Jody Clark. Limited edition copper one cent coin with a unique reverse design by Tony Dean exclusively for this folder. Limited number of complete sets.